A four set win against Britain’s Andy Murray enables Djokovic to complete his grand slam title set. He defeated Murray in four sets to win 2016 Roland Garros. Novak Djokovic has won the 2016 French Open beating Andy Murray in four sets to complete his grand slam collection. Murray won the first set but Djokovic came back stronger and won three straight sets to win the only title which was missing from his grand slam collection. It was his 12 overall which puts him third on the all time list of leading grand slam winners in mens singles. This grand slam win put Novak Djokovic right up there with the very best and with overall tally of 12 majors at the age of just 29 we can expect him to overtake Roger Federer’s 17 title record by the time Djokovic retires from tennis. 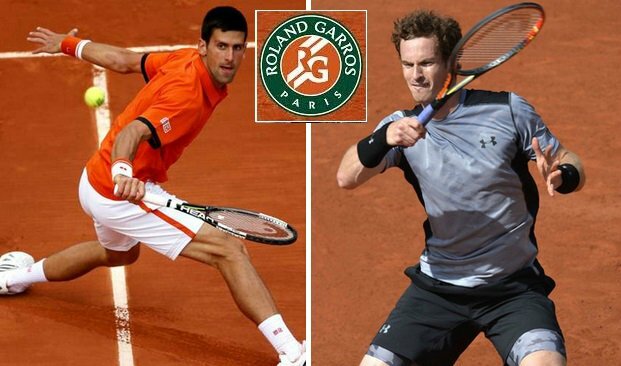 World no.1 tennis player Novak Djokovic will play Andy Murray in the final of the 2016 Roland Garros on Sunday at around 15:00 local france time. This is a massive game for both players for different reasons. Djokovic can not only win his record 12 grand slam but also complete his grand slam haul as only French Open title missing from his grand slam collection. Andy Murray on the other hand can become very first British player after Fred Perry in 1935 to win the french open if he can get the better of Djokovic on Sunday. 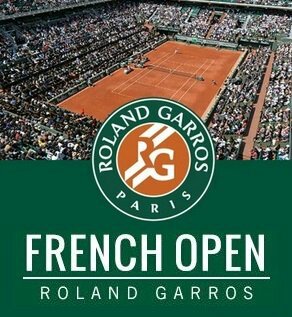 French Open men’s final will be on Sunday, 05 June 2016 with EuroSport 1 providing the live coverage in UK and other european countries. ESPN will broadcast the match live in USA. If you are in Canada you can watch this game live on TSN 1. Djokovic vs Murray Final – Short Preview: Murray defeated’s last year winner Stan Wawrinka in the semifinal by [6-4] [6-2] [4-6] [6-2] scoreline and will be hoping to repeat the Italian Open final three weeks ago when he defeated Djokovic in straight sets. This will be the 7th time these two are meeting in the grand slam final, Murray has lost 4 of those and won 2. If he were to win the French Open he will have to beat one of the most consistant tennis player in last few years. Djokovic has made it to the 18th grand slam finals of the last 23 and won as many a 11. If we talk about the head to head record both players have meet 26 times where Djokovic leads with 18 wins and 8 losses to his name. Both players have meet twice on clay courts where Djokovic won on both occasions. It was two years ago the last time Murray defeated Djokovic back in 2013 final of Wimbledon. Since than Djokovic has dominated Andy Murray off late winning last 7 matches between the two, While Andy Murray has been impressive since returning from injury but he has along way to go to match Novak’s consistency. Djokovic will be hoping to complete his grand slam set by winning the Roland Garros, which will be his 12 major title. Both meet in last year’s semifinal here when Djokovic came out on top and defeated Murray in 5 sets. Djokovic had won the first two sets but Murray bounced back winning two of his own taking the game to final set. Where serbian held his nerve to see off late charge from Murray. With both Nadal and Federer pretty the spent forces, Murray and Djokovic will be fighting it out for the titles more consistently in the future. This final holds significant importance as this rivalry might reach next level. Thank you for showing this…..seems tv is void of tennis and even Open events…thank you…..Go Novak!!!!! !